Cheap 4×4 options to see you through Britain’s big freeze! The snow is relentless, and whilst this makes for beautiful scenery and excitable children, it also makes for treacherous road conditions. If you are not in walking distance from your workplace, this can be problematic and even dangerous. You can however find yourself a used 4×4 for pretty cheap nowadays, and if we have more winters as bad as this to come, it will be money well spent. Here we will offer a few suggestions and attractive prices. The Honda CR-V is one of the reliable steeds of the motor world, and whilst it might not be flashy, it certainly does the job and it shouldn’t let you down. You can find Used CR-V’s for under £500 if you look hard enough, and for that price, it’s a steal. The Shogun is another beast in the motorworld, luckily for you; it is an easily tamed one. 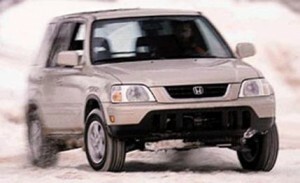 Many of the post 1999 models also feature an all-wheel-drive system whereby you can electronically switch between 2WD and 4WD and juggle between efficiency and performance when you need it. 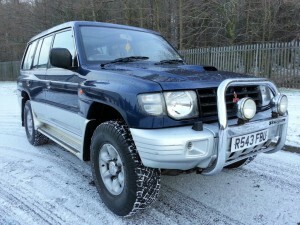 The shogun should breeze through the freeze and you should be able to pick one up from around £600 if you’re lucky. Who needs to buy used? 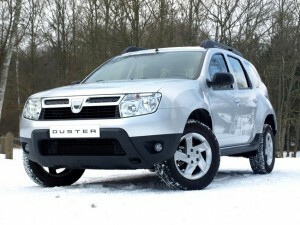 Ok maybe the Dacia Duster isn’t that cheap, but at just 11 grand, you would be hard pushed to find a better deal on a brand new 4×4. Or you could wait for these cars to hit the Used Car Market; we imagine the prices will be jaw-droppingly low. One of the smaller 4x4s offered by Jeep, the Cherokee is a great option if you’re a fan of the Jeep brand as it’s not as pricey, but still includes many of the features which help made Jeep one of the ‘go-to’ off road brands. 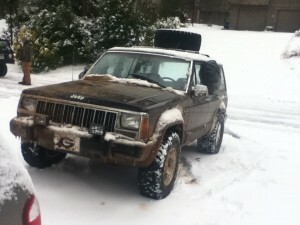 The Jeep has no fear, and should see you through most situations, though you might want to carry a few spare Jeep parts as it wasn’t particularly well made. If you can snap this baby up for under a grand second hand, it is well worth the money. The Toyota RAV4 is one of our favourite cheap 4×4 options. What it lacks in style it makes up for in toughness and reliability; rumour has it the Toyota RAV4 has never failed an MOT check! Slight exaggeration? 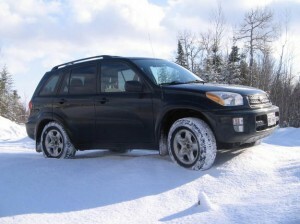 Sure, but the Toyota RAV4 is a superb, durable car which should see you coast over those slippy surfaces. As with the Shogun, the RAV4’s 4WD system is switchable. Get lucky and you could have a RAV4 for £600 pounds, though getting one for anywhere under £1,500 is still a bargain. This is just to name a few, and there are plenty of other 4×4 bargains out there to put your snow nerves at rest. 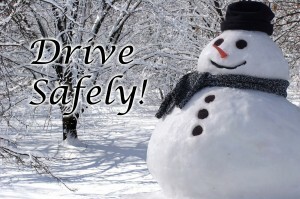 It is also reading up on tips which improve your driving technique in icy conditions. You can also look into buying winter tyres, snow socks or snow chains which are also very helpful. Alternatively you can sledge to work.